An earlier maturing rye used mainly for a cover crop. An earlier maturing vetch, 10 days earlier than conventional vetch. By yours today! Barkant Turnips Brassicas Seed from Barenbrug Seeds has high sugar content which provides winter-hardiness and increased palatability. Welcome to Byron Seeds only Point of Sale Site. We carry Byron Seeds best products – including Bucks and Bosses Seed. Buckwheat Cover Crop Seed is a short lived summer annual that is one of the fastest and easiest establishing cover crops available. Organic Buckwheat Cover Crop Seed is a short lived summer annual that is one of the fastest and easiest establishing cover crops available. Buy yours here! Common Hairy Vetch Seed is a winter hardy winter annual legume that has the potential to produce 200 lbs of free nitrogen. Byron Seeds Cereal Rye Seed is a very aggressive and hardy grain good for cover crop or forage if cut at flag leaf stage. Buy yours here! Certified Organic Cereal Rye Seed is a very aggressive and hardy grain good for organic cover crop or forage if cut at flag leaf stage. Buy yours here! A more economical wheat for cover crop or forage. Cowpeas are viewed as a warm season summer annual that produces nitrogen and provides maximum erosion control. Buy yours here! Certified Organic Deep-Till Radishes from Byron Seeds is a great organic cover crop. Radishes in stock. Discounts available! Welcome to Byron Seeds only Point of Sale Site. 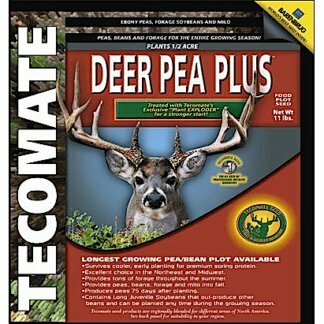 We carry Byron Seeds best products – including Deer Pea Plus Seed. Certified Organic Common Hairy Vetch Seed is a winter hardy winter annual legume that has the potential to produce 200 lbs of free nitrogen. Icicle winter peas are used for a cover crop, wildlife or livestock forage. Get yours here! KB Royal Annual Ryegrass Seed is designed as a cover crop with more fall growth than any other ryegrass and really deep roots. Buy yours here! KB Supreme Annual Ryegrass Seed is designed as a cover crop with consistent winter hardiness, blue tag certified available. Buy yours here! A dense low growing cover crop ryegrass. Terminates with ease. By yours here! Certified Organic LVF Soybeans from Byron Seeds are available in maturity groups 2.4, 3.5, 4.2. Buy yours here! Welcome to Byron Seeds only Point of Sale Site. We carry Byron Seeds best products – including Monster Mix Seed. Nitro Radish has a deep penetrating tap root for breaking ground and fast growth and winterkill for outstanding weed suppression. Nitrogreen North Cover Crop is a mix to break up pan while fixating nitrogen and winter hardy once the clover is established. Nitrogreen S (South) Cover Crop is made up to maximize nitrogen production and green manure crop plant with radish penetration. A sunflower for wildlife or cover crop use.